1. While you don't want to use it for everything, using ammonia to clean stove burners is very efficient. Soak the stove-top burners in ammonia overnight, and then rinse them off in the morning. Your burners should look as good as new! 2. Spills are always a major bummer, especially on the stove top, but there's a way to make clean up a bit faster. Simply toss a handful of salt on the spill! The salt will absorb a lot of the liquid and will make clean up a breeze. 3. Pouring olive or vegetable oil will help lift caked on messes. After the oil is applied, simply spray it with all-purpose cleaner and the stove-top is now clean! 4. Do you have an extra stubborn caked on mess? Boiling a kettle of water and carefully pouring the water onto the stove will lift even th most stubborn of caked on messes. Be careful not to flood your stove or burn yourself with hot water though! 5. When your oven is all cleaned, taking steps to minimize future messes is a good idea. One unique idea to consider is waxing your stove! waxing your stove will make future wipe ups a piece of cake, as they slip right off of the wax-covered surface. According to LG, if your refrigerator is pushed back as far as possible it won't run as efficiently as possible. However, pulling it forward one inch can reduce the energy usage by a significant amount. Changing your range hood filter is important to keep the vent working properly. We found a video that will teach you how to clean or replace it! Are you Cooking Christmas Dinner? If you're cooking Christmas dinner, it might be a good time to check your appliances. Are they ready to handle the load of cooking for a whole family? If your appliances are up to the job, we can help. 5 Tips to keep your kitchen in top shape! Kids are just tiny people, and they need to eat too! Instead of having them talk to you every time they want a snack, put snack foods near the bottom of the fridge so they can reach them when they want them. This helpful magnet is one that can help a lot. It lets people know when dishes are ready to be put away or need to be loaded in. No more excuses of not knowing if the dishwasher was clean or not! Our favorite magnet can be found here. If your kids are prone to making messes, lining your fridge with plastic might be a good way to make any accidental spills a quick clean up in your fridge! Locking the oven when you're cooking is always a good idea. It helps prevent kids from getting in there and accidentally burning themselves. These often forgotten about filters are not immune to needing changing! If you can't remember the last time yours was changed, its probably time to change it! Everyone likes making their life a little easier. Luckily, we have 12 tips and tricks to make your food and fridge/freezer work a little harder for you. Happy "Clean Out Your Refrigerator" day! The 15th of November is national "Clean Out Your Refrigerator" day! We celebrate it by throwing out old food and wiping down our fridge! We rely on our household appliances every day and need to me functioning at their best. Doing simple maintenance task can help to extend their life immensely. Oven and Range: Be careful how you clean your oven and range, and what you use to clean it. Overly harsh chemical cleaners can clog range burners. It is also prudent to avoid spraying cleaner directly on to knobs because the cleaner can leak behind the knobs and cause electrical shorts. Always use soft cloths, light cleaners. If you must use a harsh chemical, apply it to the cloth before the surface. Dishwasher: Don't pre-wash your dishes too much. If the dishes get put into the dishwasher with too much water on them or too much soap it can cause your dishwasher to overflow. Washing Machine: Don’t overload your washing machine. Overloading your washing machine adds wear and tear to the motor and can cause damage and leaks. Even though doing more that one load can be a hassle it will save you time and money in the long run by preventing damage. Dryer: You probably already know to clean the lint trap, but make sure you also give it a deep clean to get any lint in the ducts or around the exit vents. This is where lint and dust tend to build up. Make sure to clean the moisture sensor also. 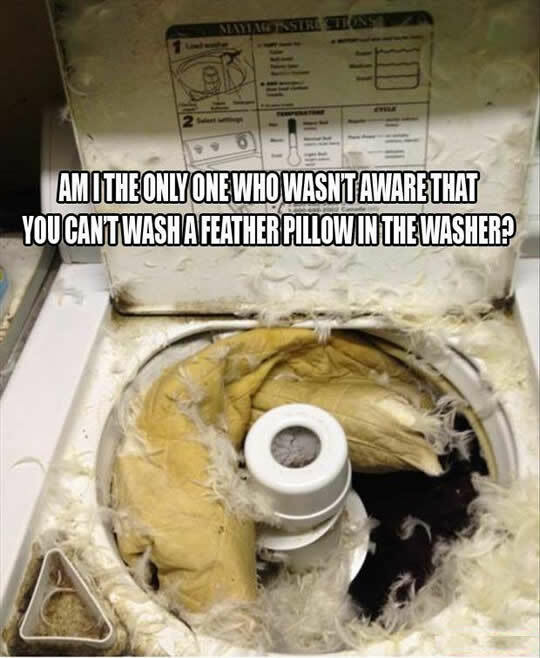 Residue from dryer sheets and dust can clog it up and make your dryer work harder than it needs to. With these maintenance tips you can keep your most used appliances in topnotch running order and keep them running longer. How to Get Your Microwave Sparkling! Gather Lemons, Apple Cider Vinegar (white vinegar works great too) and water. Chop up a couple of lemons, place in a microwave safe measuring or bowl. Pour in about 1/4 cup vinegar, then fill the rest with water. Place it in your microwave and turn on for a couple of minutes. About 3 to 4 minutes depending on your microwave. You want the water to get hot enough to create a steam. After it’s done, DON’T OPEN THE DOOR. Let it sit for 10 minutes or so. The steam will lift the dried on food. Using a clean damp sponge, wipe it clean. Now you have a sparkling clean microwave that should also smell nice and fresh. Enjoy! You Could Have Money Owed to You! A Settlement has been reached in a class action lawsuit that alleges LG-brand front-loading washing machines (“Washers”) had an undisclosed propensity to develop a Mold and/or mold-related Odor Problem. LG denies it did anything wrong. The Court has not decided who is right. If you actually experienced a Mold and/or mold-related Odor Problem, you may be entitled to compensation in the form of either (1) a cash payment of thirty-five ($35.00) in the form of a check, or (2) a Washer Rebate Certificate worth one hundred and five dollars ($105.00), redeemable after you purchase a new Washer from an authorized Washer retailer. How much should I budget for home appliances? Make your stainless steel shine! Gather your supplies and determine the direction of the grain: We normally use the term "grain" for wood; however, stainless steel also has a grain. Look closely. It will either be running horizontally or vertically. To clean your stainless steel, rub in the direction of that grain. Pre-clean your appliance with vinegar: Spray your appliance with vinegar. Use either a paper towel or a very soft cloth to wipe the vinegar off in the direction of the grain. This should remove the surface dirt from your appliance and start to shine it a bit. Use oil to make it shine: Dip your soft cloth into a little bit of oil. Start with a small amount and add more as needed. Now, polish your appliance with your oiled-up cloth in the direction of the grain. You will start to see any marks disappear! Now you have a shiny new appliance again! Having a chest freezer can be a huge help when you have a big family or just get a good deal on your favorite foods. However keeping your chest freezer organized can be a bit difficult. Here are five tips to help your chest freezer stay organized and all of your foods easily accessible. Keep an inventory. This keeps you from over purchasing one type of food. Use reusable shopping bags to keep like food together. Sturdy plastic bins work well also but run the risk of becoming brittle with time. Freeze your foods flat in gallon sized, freezer safe Ziploc bags. This makes it easy to stack and organize foods either horizontally or vertically. Clearly label all food with the expiration dates. Painters tape and a sharpie can help with those store bought items that have small or hard to find expiration dates. Clean out your freezer quarterly and dispose of expired items. These tips should help you to get the most out of your chest freezer. In the past five years, we've all become much more sophisticated in our appliance-shopping strategies. We compare prices with a few mouse clicks. We also can go beyond low price tags and look at quality. What do reviews say about that brand of toaster oven? What kind of problems have arisen for owners of that refrigerator model? A few minutes of research can quickly make it clear that paying for quality brands can save you big bucks in the life of an appliance. That research can also suggest what brands charge way more than the value of their products. If you're buying appliances as part of a major renovation, your contractor can be another source of information, guiding you to the best values. Many appliances get more expensive as their size and capacity increase. Washers, dryers, dishwashers, refrigerators, microwaves and even trash compactors will often go up in price as their size and capacity increases. But understand that bigger isn't always better. Take into account the size of your family or the number of guests you serve as well as the available space you have for the appliance. Appliances that use less water and power and have a higher energy efficiency rating are often more expensive. But these are often the better value, earning you back that investment over time with lower utility bills. Look for the Energy Star, an international symbol that tells you an appliance meets exceptional efficiency standards. When installing new appliances, it's important that you have enough electricity and water to run them, and that the power and water are located in the right places. If you need to increase the electricity or move the locations of plumbing or wiring to accommodate the new appliances then the cost of installation will increase accordingly. The cost of fixing your appliances will vary greatly from the type of appliance and the extent of the repairs needed. When you purchase your appliance, it's important that you consider the length and coverage of the warranty. Many appliances are covered for just a few months. Others are covered for a lifetime. When your repair is covered by a warranty, it sometimes is only honored if you return the appliance to the manufacturer for the repair. Make sure you check the details of the warranty before calling a repair professional. Some appliances will cost more at the point of purchase but carry a longer or more comprehensive warranty and therefore may be a better buy overall. When it comes to appliance safety, one of the most commonly used, and commonly misused, gadgets on the market is the extension cord. Extension cords pose several risks. First, the extension cord connections may not be secure. Besides causing power fluctuations that may damage the equipment, poor connections can also result in sparks that could start a fire. Another problem with the appliances connected by extension cord is that they are extra vulnerable to water penetration. This is especially true in damp areas such as laundry rooms, bathrooms, kitchens, garages and outdoors. Water and electricity are a dangerous combination responsible for many avoidable deaths each year. Extension cords also come in different sizes, and not every width is suitable for every appliance. People often make the mistake of using extension cords that are too small. The wires on extension cords are rated according to size, with lower ratings corresponding to larger sizes. A simple household extension cord for a lamp might have 16-gauge wire. An outdoor cord may have 14-gauge wire. Heavy-duty cords are usually 12-gauge. It is a good idea to plug things in directly to the socket or to a surge protector whenever possible; when an extension cord is necessary, make sure that it is large enough to handle the electrical load it is going to carry. In general, in those circumstances where use of an extension cord is unavoidable, employ one that is heavier than the wires already attached to the appliance. Also, whenever using power tools or similar equipment on long extension cords, be aware that the longer the cord the more power that is lost en route. This phenomenon, called voltage drop, is much less pronounced in heavier wires. Whenever you use an inadequate cord, you run the risk of damaging the appliance or causing the wires to overheat and become a fire hazard. When extension cords, appliance wires and outlets are incompatible, people often use adapters to make things fit. Most commonly, people have a three-prong plug and a two-prong outlet. The third prong is the ground, and it offers important safety advantages. A much better long-run solution is to have an electrician replace your 2-prong outlets with properly grounded three-prong outlets. Heavy-duty appliances have plug configurations that are unique. Never use an adapter to fit these into more standard outlets. Having a dirty dishwasher means your dishes are not getting as clean as they could be. In just a few simple steps, you can clean and deodorize the inside of your dishwasher using common household ingredients. It's super easy to do, and your dishes will come out of the dishwasher cleaner than ever. Take out the bottom rack of your dishwasher and spray the inside of your dishwasher liberally with vinegar. Use a clean cloth to wipe down the seal and inside of your dishwasher. Remove any waste that may be trapped in the bottom. Put the bottom rack back into your dishwasher. Pour 1 cup of vinegar into the bottom of your dishwasher. Add 1 cup of baking soda into the bottom of your dishwasher. If you are wanting to add a fresh deodorizing scent add three drops of lemon essential oil. Run your dishwasher on the Light Wash cycle. Cleaning your dishwasher once a month will not only make your dishes cleaner, but will help prevent mold and mildew from forming also. This method no only disinfects and cleans the inside of your dishwasher, but also helps clean the plumbing that is connected to your dishwasher as well. Nobody wants to open their oven and find burnt, caked on grime on the racks. Fortunately it is very simple to get them clean. Remove the oven racks and place them in a tub or shower. Spray the racks liberally with vinegar. Liberally pour baking soda all over the racks and let sit for 10 minutes. Cover them with hot water and let sit for 10 minutes. Use a scrub pad to remove grime, rinse and let dry. If you're going to cook something that will leave your oven a mess, put a baking sheet on the bottom rack of your oven. This will make it so the mess falls in the cookie sheet. You can wash it instead of the whole oven! The clean up a lot easier! Knowing how to load a dishwasher can help improve it's efficiency and extend it's life expectancy. Here are the steps to take to get your dishes squeaky clean! Protect-N-Shine is a great product that prevents smudges, fingerprints, and build up on your appliances. Watch their demonstration video! Often times you people don't think of the extra fees involved with buying an appliance. Fees like delivery and installation. Luckily, with us that fee is a low $49.95 for the first appliance in the Boise to Nampa area. Don’t waste elbow grease on the crusted messes in your microwave—just let them steam clean. Cut a lemon in half and squeeze the juice into a microwave-safe bowl. Add the lemon pieces to the bowl, along with 1/2 cup of water. Nuke the water and lemon for three minutes on high, or until the liquid starts to boil. Without opening the door, let the lemon water stand for five minutes. The lemony steam will help break down the gunk, making it easy to wipe off after you remove the bowl. Take out the turntable to clean it, then wipe down the top, bottom, sides, and door of the microwave before putting it back. Hate the idea of scrubbing every inch of the blade? Let your blender do all the dirty work. Fill the pitcher with hot water as soon as you’re done using it, add a couple drops of soap, and run the blender like you would for a recipe. Rinse it out and it will be ready for your next concoction. Just make sure you take the blender apart and give it a hands-on scrub every now and then for a deep clean. Coffee maker reservoirs are among the most germy items in the kitchen and have even more germs than bathroom door knobs, according to a small study by public health organization NSF. To keep yours clean, wash the removable pieces of the machine after every use—most parts can easily be thrown in the dishwasher. But about once a month, give it a deep clean by attacking the buildup on the inside of the appliance. Put a paper filter in place, then fill the water chamber with equal parts vinegar and water. Start the machine, then turn it off when it’s halfway through the brew cycle. Let the solution sit for half an hour, then finish the brew cycle. Pour out the vinegar solution, and replace the paper filter, then run the brew cycle with a full pot of water. Repeat the process with one more full pot of water. For a single-cup machine, fill the reservoir with the vinegar-water solution, then run the brew cycle without a K-Cup one mugful at a time. Repeat with plain water. If your disposal is starting to smell funky, it’s time for a thorough cleaning. Get rid of grime in the grinding mechanics by pouring half a cup of baking soda into the disposal, followed by a cup of white vinegar, two cups of ice, and one cup of salt. With the cold water running, turn on the garbage disposal until the ice is gone. To freshen the odor, cut a lemon and grind the pieces one at a time in the disposal. A slow cooker makes food preparation easy, but the cleanup? Not so much. When your appliance has a mess that can’t be wiped away after a presoak, it’s time for a deep clean. Add ¼ cup of baking soda and a squirt of dish soap, then fill with water. Put the lid on, then turn the machine on high for two to four hours. Place a wet rag over areas with built-on food residue to loosen it. After a few minutes, the dried gunk should be softer and easier to wipe away. When cleaning the beater, let the attachment soak in water to help dissolve the mess before scrubbing it clean. Don’t forget about that crumb tray, if your toaster has one. 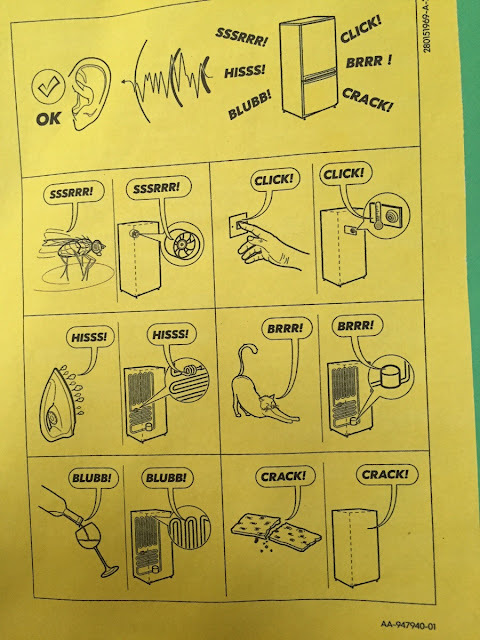 Slide it out and shake off the crumbs, or turn the whole machine upside down and shake lightly if it doesn’t have a removable tray. Wash and dry the tray before putting it back to get rid of any caked-on food. To clean out the inner corners of your toaster, reach in with a pastry or basting brush. Finish by wiping the outside with a damp cloth and mild detergent, or a bit of vinegar if it’s stainless steel. For a gas burner, unclog the port with a pin or unfolded paper clip. Then take off the removable parts of the cooktop and soak them in hot, soapy water. Scrub them clean, then rinse thoroughly. Wipe the cooktop with a damp, not wet, cloth to prevent water from leaking into the burner. Electric burners should never be submerged in water, so it can be hard to break down burnt spills, especially when dish soap isn’t strong enough. Combine baking soda and water until it has a paste consistency, then use the mixture to scrub the mess. Place them in the dishwasher, and run those stinkers through a regular cycle with your dishes. This time, add detergent. Dirty garden tools can spread germs and bacteria throughout your garden. Place your metal garden tools and shears on the top rack, and run through a regular cycle. Don’t try cleaning eating utensils at the same time, though. If you don’t want your favorite jeans to fade, place them in a plastic bag and stick them in the freezer for a week. Yes, your loved ones may think you’ve lost your mind. But the cold will kill germs and freshen the jeans without cooking them in hot water, which fades colors. Candles will burn slower, hosiery will evade runs longer, and NiMH and NiCd batteries will last longer when you store them in your freezer. Instead of watching steel wool rust in a sink holder, place it in a plastic bag and store it in the freezer. The steel wool will stay free of rust longer. They’re not just for water anymore. These little compartmentalizers are great for freezing single portions of pesto and making coffee cubes that cool but don’t water down your iced coffee drinks. Bonus: Freeze grapes in a plastic bag, then throw a few into white wine for a quick cool-down. You’ll squeeze more juice from lemons and oranges if you zap them in the microwave for 10 seconds, then squeeze. Soak a sponge in water with a spritz of white vinegar, and place it in the microwave for two minutes. Not only will your sponge smell fresh, but the steam will make scrubbing the microwave and its telltale spaghetti sauce a snap. Fill an old sock with rice (not instant) or dried beans, tie the end closed, and place in the microwave for 60 seconds on high. Always touch lightly to check the temperature. If the pad isn’t hot enough, add 15 more seconds. If you want the heating pad to smell nice, add a drop or two of essential oil to the rice/bean mix before heating. Its about summer time, is your freezer ready? It's going to start getting hotter and hotter, which means your freezer is going to be working into over time! If you want to protect your otterpop stash you've got to make sure its in tip top shape! If you've lost your otterpops to a faulty freezer and you need to buy another one, we can help. If not, we can help get it running again or help you buy another one! Have you ever taken out an item from the freezer and then ended up putting what you didn't need back after its defrosted? Thawing and freezing your food wears out its lifespan. However, there is an easy way to prevent this. Put your food in a baggy, and separate the food into portion sizes while in the baggy. This allows you to break off pieces that you need, without having thaw it all. Freezer not freezing your food? Avoid slamming the doors of your washers and dryers. Doing so wears out the lid/door switches, and those are $100 to replace! Do your condenser coils need cleaning? Condenser coils remove heat from refrigerators and freezers. They are the long coils that look kind of like a radiator. They are usually located behind or beneath the fridge/freezer. When dust, dirt, and other stuff clings to the coils, it makes the coils less efficient, which means they take more power to do the same job. If left uncared for, these coils may end up costing you a fridge. Use a refrigerator coil brush to brush any dust, dirt, pet hair, etc. off of the coils. If your refrigerator or freezer has just had enough, and you need to buy a replacement, we can help. Do you know the life expectancy of your appliance? International Association of Certified Home Inspectors has given a recommended life expectancy chart for various appliances. Check to see how old yours is! If its time to put yours out to pasture and get another one, come see us today! Need a dryer or need your dryer fixed? We can help. If your dryer needs repair or you need to buy a dryer, washer, refrigerator, or freezer, we can help. 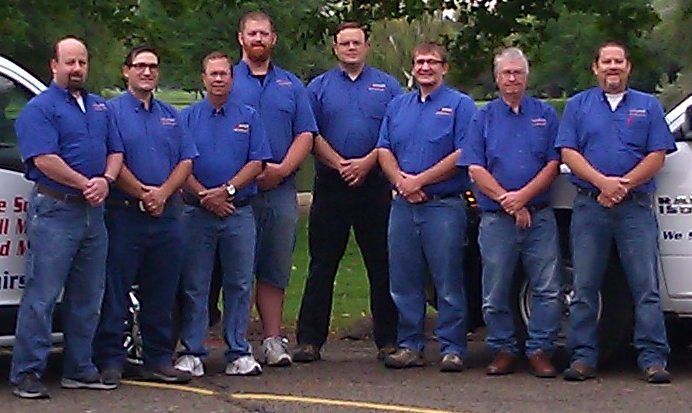 We have an a professional staff that will help you find exactly what you need. If the seal on your oven isn't tight, it could leak a lot of that heat out, which means it takes more to cook your food! There should be a rubber or fiberglass gasket around the edge of the door. Touch it and seal if it feels melted, warped, or broken. If it does, replace it! The fans over your oven are often forgotten on your cleaning list. Next time its time to wash the entire kitchen, put it on your list! Lots of dust and flakes can build up in the drip bowls and on your burner. It make your oven run in tip top shape, clean them fairly regularly, especially if you drip food on them! Your oven's self cleaning setting can be a lifesaver, but only if you use it correctly. To prevent any accidents, make sure you stay home and check on it every 10 minutes or so. Sometimes you just gotta get in your oven and scrub it! Before you roll up your sleeves, make sure you unplug the oven or turn off the gas. You don't want it to somehow turn on and start frying you up or start suffocating you. Its begining to look a lot like Spring! The first day of spring is just 9 days away! We can finally count on the weather defrosting. If your freezer isn't defrosting properly, contact us! We will be able to get your freezer repaired, or get you another one at a great price! Is it just me or does it seem that appliances don’t last as long as they’re supposed to?